While torrents are convenient for keeping up with your favourite TV shows, movies, games, and more, downloading files using uTorrent or other BitTorrent clients might leave you open to legal action. At the very least, your Internet Service Provider (ISP) could cut off your service if they receive notifications that you’re downloading copyrighted content using peer-to-peer programs. And while lawsuits are still fairly rare, sharing copyrighted content can result in massive fines and even jail time. In fact, according to TorrentFreak, the number of file sharing lawsuits hit an all-time high in 2018. Definitely not something you want to wrap yourself up in. So you need to play it safe and do what you can to protect your online activities from monitoring. VPNs serve as a protective layer to keep your torrenting activity from being linked to your IP address. But with all the options out there, which one should you choose? Based on our research, ExpressVPN offers the fastest download speeds if you’re looking for a VPN for torrenting. But they’re not the only VPN service ideal for torrent use . This roundup covers 5 VPN services that provide excellent features, speeds, and anonymity. Known for their speedy connections, ExpressVPN is ideal for those looking for the fastest possible downloads. They’re not the cheapest service around, but if you’re downloading terabytes of data each month, that extra speed is worth it. Their zero log policy adds protection from reports by media companies and Internet watchdogs. ExpressVPN also has tight protection against IP and DNS leaks. Should you ever run into problems with your VPN service, ExpressVPN offers 24/7 customer support to get you reconnected and downloading quickly. With clients for Android, iOS, Windows, and routers, there are plenty of options to keep your tech and information protected regardless of where and how you’re downloading or sharing media online. They also received high marks from PC Magazine with a 3.5-star rating in their “The Best VPNs for BitTorrent for 2019” listings. When it comes to using torrents, speed is everything. ExpressVPN offers stellar speeds, airtight security options, and great customer support. While it comes at a price, it’s well worth it according to most reviewers. You might not have heard of Mullvad before. But they’ve been around for years quietly offering truly anonymous VPN service. They just don’t advertise like many of the bigger names in this roundup. If you’re looking for the most anonymity possible when choosing a VPN for torrenting, Mullvad is the easy choice. While all VPNs allow you to encrypt your online activities and obscure what you do online, most still require you to submit personal information -- such as names, addresses, and payment details -- to create an account and pay for your service. This means that if the VPN your using is issued a subpoena, they might legally have to turn over your billing information. Since Mullvad only assigns you an account number, they eliminate this concern as long as you pay with bitcoin or cash. They’re also a good VPN. 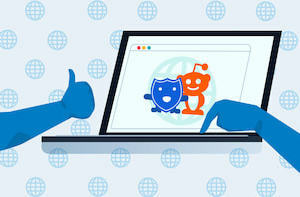 Reddit reviews note respectable speeds, excellent security, and an easy setup process. While the privacy on offer might be overkill for some, it’s an impressive service. Unfortunately, they aren’t the fastest option on this list. But if anonymity is key, they’re at the top of the stack. You won’t find a ton of reviews from the major tech sites out there for Mullvad. This is because they don’t advertise or offer an affiliate program. But if you head to Reddit, you’ll see Reddit users singing Mullvad’s praises. If you’re looking for the ultimate in anonymity -- and don’t mind sacrificing speed in exchange -- Mullvad is a great VPN for torrenting. 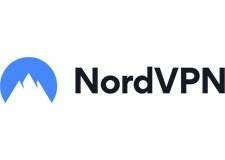 NordVPN is a good all-around option for anyone looking for a VPN to protect their file sharing. Bitcoin payments allow you to keep your payment details secure while a range of encryption options keep your data safe in transit. Speeds are generally good. However, you might need to try a few servers to find the best speeds and ensure your downloads are nice and snappy. With thousands of servers from which to choose however, you won’t need to worry about being able to find a good one. NordVPN also supports SOCKS5 proxy configurations so you can set your VPN access up in your torrent client of choice. If you’re worried about connecting without a VPN, there’s a kill switch in the NordVPN client to kill the connection to your client if the VPN disconnects. The client will also switch you to a P2P-friendly server if it detects P2P traffic on your network so you don’t have to worry about switching up settings every time you want to download or share something online. The only real downside is a lack of support for port forwarding. This means you might not connect to every peer on the torrent you plan to use. 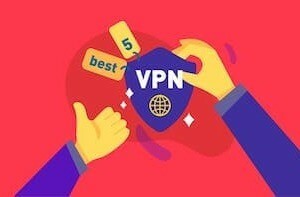 PC Magazine awarded NordVPN a 5-star rating in their “The Best VPNs for BitTorrent for 2019” article. While they’re not the fastest VPN service available and port forwarding might create issues for some, their generally high speeds, dedicated P2P servers, and generous features make them an excellent mid-tier VPN option for torrenting and P2P file sharing. If you’re looking for something super simple to keep you protected online, CyberGhost is a great choice. CyberGhost’s software allows you to set some automation -- such as automatically launching your torrent client when launching and connecting to CyberGhost -- to take the hassle out of keeping things managed. There’s even a “Torrent Anonymously” button to get you up and running in a single click. If you’re looking to improve anonymity, they support bitcoin payments as well. There are even mobile apps to keep your phones and tablets protected if you’re torrenting on public Wi-Fi -- such as at college or your local coffee shop. Price is the only real downside to the service. Unless you sign up for a 3-year deal, you’ll probably pay more than many other options in this lineup. But if you value simplicity, the price is likely worth it. While some online reviews note that support is hit-or-miss, the simple nature of their software should mean you rarely need support anyhow. If you’re looking for a basic VPN service that helps ensure you’re protected at all times, CyberGhost offers a solid, user-friendly option. But you’ll pay more for that ease-of-use. If you’re looking for a VPN service built from the ground up for torrenting, TorGuard is an excellent choice with a few caveats. The software will be the biggest issue for most users. While it offers access to the huge range of features, add-ons, and options offered by TorGuard, it’s not exactly pretty. The minimalist interface and stark coloring make it less than inviting and the tech jargon might not work for those not familiar with VPN technology. Still, if you’re looking for a powerful option, they offer things you won’t find with many other VPN services. Static IP add-ons make it easier to use private torrent trackers while the 10Gbps network add-on ensures some of the fastest VPN speeds on the market. If you’re planning to stream video, their StealthVPN servers hide that you’re using a VPN from streaming sites to ensure things run smoothly. Unfortunately, if you’re looking for maximum anonymity, you’ll want to look elsewhere. TorGuard has business ties to the US. While it’s not the easiest service to use, TorGuard offers a compelling option if you don’t mind the minimal software. With a few add-ons, it offers one of the best feature sets of any VPN for torrenting. However, this makes it significantly more expensive than most other VPNs in this roundup. Using a VPN for torrenting comes with a unique set of considerations. For most users, speed will be one of the biggest concerns… no one wants to wait for hours or days for a download to complete. Privacy features were the next thing we considered. A good torrenting VPN should provide strong-encryption, little or zero logging, and provide options to protect your BitTorrent client as well as the standard VPN connection. Finally, we wanted to find options that provided anonymous payment methods to help add extra peace of mind for those who don’t mind a few more hurdles when signing up for service. With those factors in mind, we scoured the best review sites online, major technology outlets, and online forums to compile a list of 5 VPNs perfect for using with BitTorrent and other peer-to-peer technologies. We compared the things most people consider when choosing a VPN. WARNING: While using torrenting to download files is not inherently illegal, downloading or distributing copyright protected files is. Please avoid piracy and stick to legal torrents. If you're new to file sharing or VPNs, you may have a few questions -- or at least expectations -- of how things work and what to watch out for. Here are a few of the most common questions surrounding the use of VPNs for file sharing. Q. Why Do I Need a VPN for Torrenting? Without a VPN hiding your identity and IP address, you can be easily tracked, monitored, and recorded online. People and groups can know what you downloaded by tracking your IP address as it connects to others sharing files. If you're downloading copyrighted things -- such as movies, TV shows, games, or apps -- this could leave you open to legal action. Punishments vary by region but can include massive fines, jail time, and more. VPNs help to hide your real IP by using the VPN's IP when connecting to other people sharing files. This makes it that much harder to track down who is really downloading or uploading files on BitTorrent. Q. So is it safe to download torrents with a VPN? First off -- we're not legal experts. That said, using a VPN certainly adds a level of security when you're downloading torrents. However, while it's harder for people to track your IP address if you're using a VPN this does no good if the VPN service itself is tracking your IP and tying it to your VPN IP in their logs. One subpoena is all it would take for other groups to make a connection and pursue legal action. Torrenting is never 100% safe. But a good no log VPN adds a substantial level of anonymity to make downloading torrents safer. Q. Do all VPNs allow Torrents or P2P? Most VPNs allow torrents these days. However, you'll want to check for sure before you sign up for service. Our VPN summaries outline this information and more to make it easy to check a range of services. If they have SOCKS5 proxy support, this is even better as you can configure it in your torrent client to help add another layer of protection. Just be sure that any torrent trackers you plan to use allow you to use VPN or if there are any special rules regarding VPN use to avoid any surprises once you sign up for service. Q. What's the best free VPN for torrenting? We don't recommend any of the free VPN services for torrenting. Less reputable VPNs might log loads of information leaving you open to legal liabilities. But even reputable free VPNs aren't a great fit for torrenting. TunnelBear's limited bandwidth means you'd likely hit your VPN cap in just a few minutes. And ProtonVPN's reduced speeds means you might wait hours for your downloads to finish. Q. What's the fastest VPN for torrenting? This will depend on a lot of factors -- including your location, the VPN server location, the location of everyone you're connecting to, and the speed of your local and ISP networks. That said, ExpressVPN scored excellent with most reviewers in terms of speed. You'll always see a slight dip in speeds when using a VPN, but ExpressVPN has one of the smallest speed reductions most reviewers had seen. Q.Are there any specific features I should look for? Killswitches are one of the most important features. This feature cuts off Internet access to your device should the VPN connection fail. When torrenting, this could be the difference between being protecting and getting a legal notice in the mail. SOCKS5 proxy support also adds another level of protection by routing all of your torrent client traffic through a proxy so that if the VPN fails, you're still protected. Finally, split tunneling is a handy feature offered by a few high-end VPN services. This allows you to choose which applications you protect on your PC while enjoying full speed for things you don't need to protect -- such as online games or streaming video services. Based on our research, we think these picks offer a great experience for most people searching for the best VPN service to use for torrenting. That said, there's not a single pick that will be perfect for everyone. However, since most VPN services offer free trials you can sign up for a free account and see which is the best for your needs. Just be sure to cancel before the trial ends to ensure you don’t have any surprise charges show up later. To get a real idea of what to expect, we recommend using each trial for a few hours. Try different servers and run through the things you’d do often -- such as streaming video, checking email, or using your filesharing platform of choice -- to be sure there are no surprises once you commit to a provider. Every service has servers that perform better than others and no service is perfect. They all have weak and strong points. Explore a little to see how the different options compare firsthand. P.S. If you’d like to explore options not included in this roundup, our VPN comparison tool lets you filter top VPN services by features, price, and more and compare them side-by-side in a few clicks.